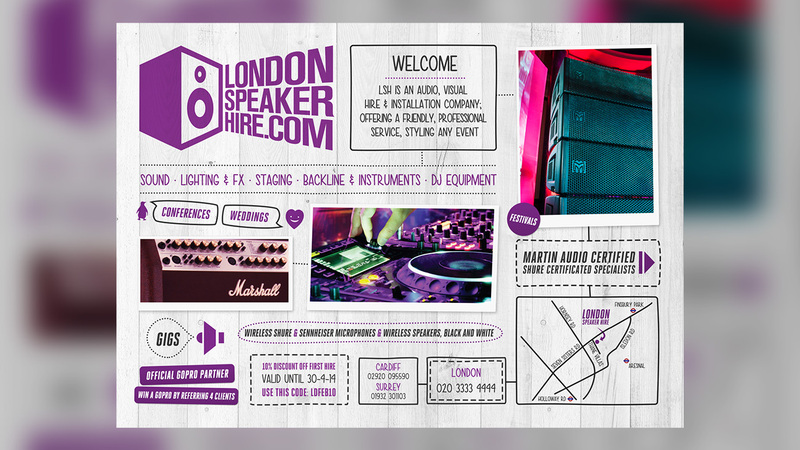 London Speaker Hire Flyer – this was designed to introduce London Speaker Hire to new customers in a friendly way. It was achieved by using playful elements within the layout. London Speaker Hire is a hire shop supplying audio and visual equipment to clients in London and Cardiff . You can visit their online shop (HERE). Get Involved and Share the London Speaker Hire Flyer!